Do You Want Free Landing Pages? 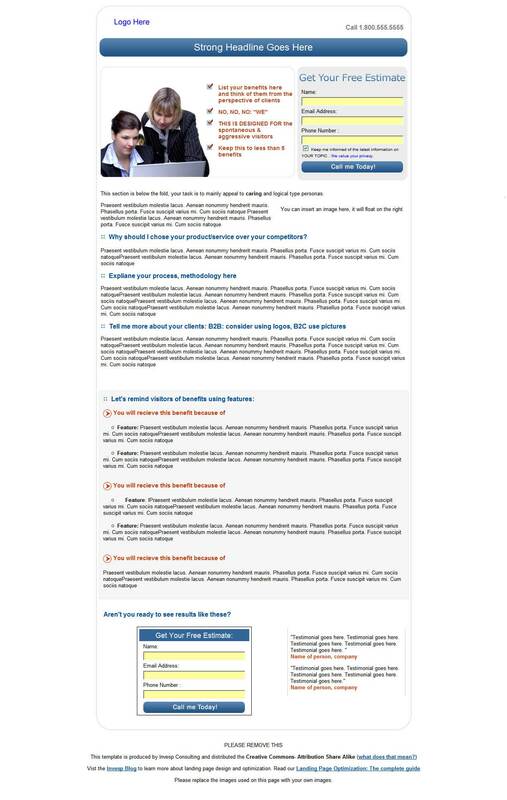 A reader sent in a tip that Invesp.com has posted some free landing page templates available for download. If you’re an Internet marketer, you will definitely appreciate this. 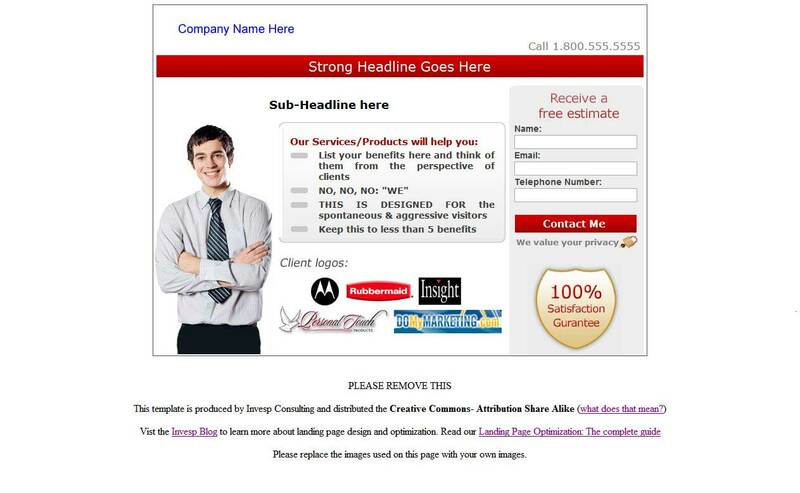 We all know what a tedious task creating landing pages from scrap can be. There are two different variations of pages to choose from. The first is a shorter version with red accents, without much text. This can be great if you want to get right to the point and show your potential buyer what you’re selling. The second, more longer copy-filled landing page comes with blue accents and A LOT of text, which you will obviously need to edit. Both of these pages will need to be altered a lot to fit your product, so open up Dreamweaver or your favourite web editing program. Overall, I think these pages should do well for you. The only downside is a lot of other people using the same templates and competing with you. If you find these get too saturated, you may want to consider hiring a freelance designer on SitePoint to create a new landing page for you.